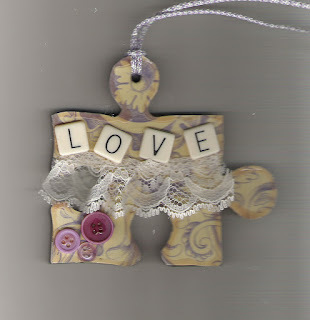 Create a necklace or brooch from a child's large puzzle piece. 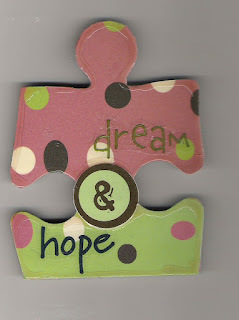 This is a super use for orphan puzzle pieces and small scrapbook paper scraps! 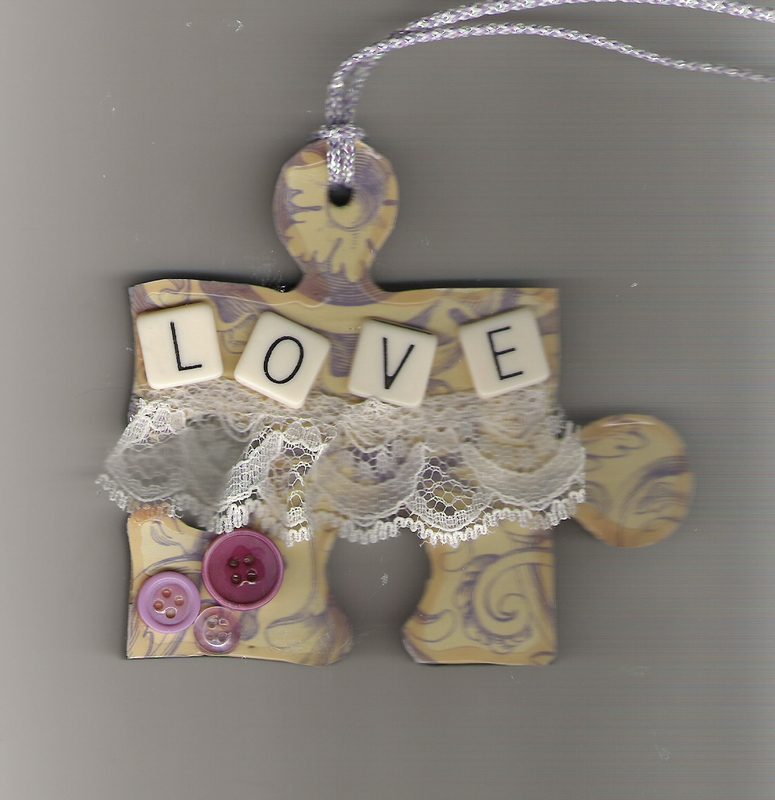 I have also enjoyed looking for small "found" objects to use as items of interest for the necklaces. 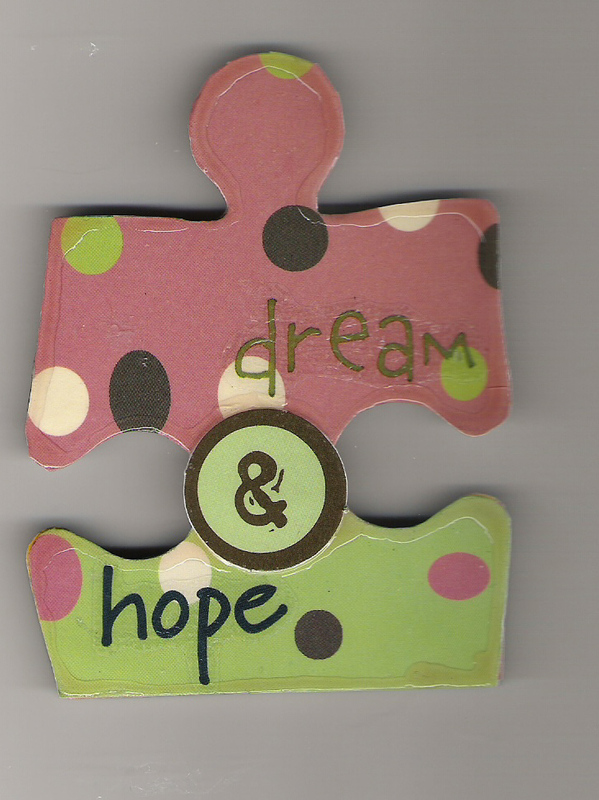 Cut scrapbook paper the exact size and shape of the puzzle piece. 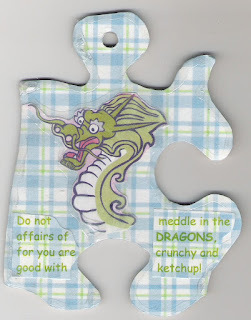 Apply to front of puzzle piece with Modge Podge or white glue. Allow to dry completely. Then apply 2 coats to the top of the paper, allowing to dry between coats. Decorate puzzle piece with your choice of ephemera, rub-ons, quotations, etc. Apply another coat of Modge Podge. Punch a small hole in top part of puzzle piece for necklace, or glue pin back on the back of puzzle piece (using E6000) to make a brooch. 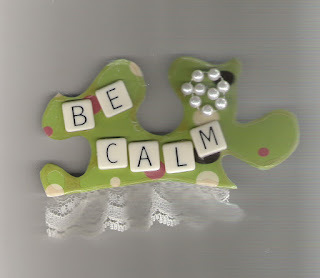 Finish the jewelry by outlining the entire piece with Folk Art Papier Glass Finish "Antique." When completely dry, loop complementary color of jewelry cord through the hole for necklace. Copyright © 2007 by Lissa Davis-Cook. All rights reserved.